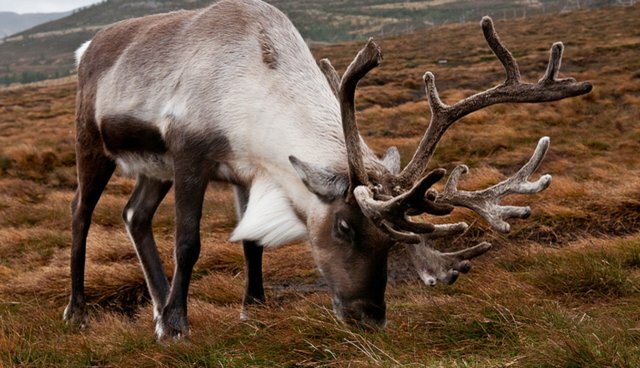 What's Killing Off The World’s Reindeer? Santa may need to start saving up for a ticket on the polar express this year. The population of one of the season's most iconic animals has been dramatically declining - and not only in the North Pole. A new study in the Journal for Nature Conservation found that reindeer populations in northern Europe, the Arctic and North America have been dwindling for years. Scientists at the Renmin University's School of Environment and Natural Resources studied both tundra reindeer and woodland reindeer - some areas saw steeper declines than others. In China, for instance, the reindeer or caribou population has declined by 28 percent over the past four decades. So what's hurting Santa's helpers? The scientists identified six different reasons for the trend, one of which is inbreeding due to the species' small, isolated populations. Other reasons for the decline include poaching for the animals' antlers, and predators like bears, lynx and wolves. As with countless other species, people have played a role in reindeer decline as well. Another group of scientists recently found that reindeer in Norway are facing a major threat from climate change - an increased amount of rain freezes in the cold weather and covers up the lichen they eat. The number of people interested in herding and breeding the animals hasn't dropped either. What's more, those herders who do keep reindeer have been inching closer to busy roads to cater to tourists. But this leaves reindeer vulnerable to getting hit by cars or poached by hunters. For all of these reasons, lead author Xiuxiang Meng told Discovery News that his team is hoping that reindeer will get an upgrade on the IUCN Red List, affording them better protections. "The semi-domesticated (reindeer) population in China, Mongolia and Russia-and especially China-should be given enough concern by the IUCN Red List," Meng said. "Our survey showed that the reindeer in China comprise the southernmost reindeer population in the world, which is so important to the distribution and conservation of reindeer worldwide."